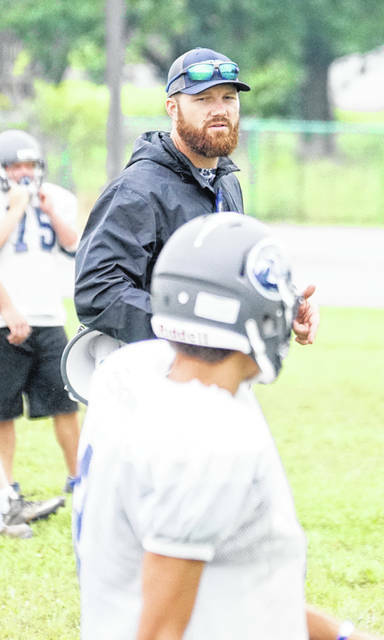 Brandon Sammons will not return in 2019 as the Blanchester High School varsity football coach. After three seasons, Brandon Sammons has resigned as the Blanchester High School varsity football coach. Blanchester Supt. Dean Lynch said he received the resignation letter late Friday night. “We plan on posting the position early next week and hope to name our next head coach by the end of this calendar year,” Lynch said. In three seasons, Sammons led Blanchester to a 17-14 record and SBAAC National Division championships in 2016 and 2018. In his first season at BHS, the Wildcats were 7-4 in 2016 and made the playoffs but lost to Cincinnati Hills Christian Academy 42-0 in the first round. Sammons came to Blanchester after being an assistant at CHCA. BHS then went 5-5 in back to back seasons. This year, Sammons and Co. went 0-5 to start the year then won the final five games to win the second league championship. Sammons taught Career Tech his first two years at Blanchester Middle School but resigned his teaching position the first week of August this year. After talking with Lynch prior to the start of the school year, Sammons said he came to the conclusion this would be his last year as football coach as well. “I didn’t really feel like there was support of the athletic program, the football team,” Sammons said, noting that support, or lack of it, came from students, parents, administration. Sammons told the coaches and players early in the season of his decision to make 2018 his last. “So let’s make it a good one,” he told them. Blanchester athletic director Bryan Pennix said he was disappointed but not surprised with Sammons’ decision to make 2018 his last at BHS. “Coach Sammons and his coaches have brought two National Division championships and one playoff appearance to our community and for that I am thankful,” Pennix said. “I appreciate the efforts coach Sammons made in challenging our kids to be the best players and young men they could be.